This article is about the current Paramount Network channel. For the channel formerly known as The Paramount Channel, later Paramount Comedy, see Comedy Central (UK and Ireland). Paramount Network is a British free-to-air television channel operated by Channel 5 Broadcasting. It features a range of programming from the Channel 5 stable as well as other content from the UK and US. The channel was launched on 4 July 2018, but ceased to be available via satellite in Ireland on 13 July 2018 having supposedly been made available only by mistake, even though the channel had been promoted to Irish viewers before launch. The channel can still be accessed on Sky Ireland by adding it via the extra channel. The channel launched a high-definition feed exclusively on Virgin Media on 21 July 2018. The first show to be aired on Paramount Network (UK) was the pilot episode of Gilmore Girls, broadcast at 13.00 on 4 July 2018. ^ White, Peter (8 June 2018). "Viacom To Launch Paramount Network In The UK In July With 'Suits' & 'The Mick'". www.deadline.com. Retrieved 29 June 2018. ^ Barraclough, Leo (8 June 2018). "Viacom to Launch Paramount Network in U.K. in July". www.variety.com. Retrieved 29 June 2018. 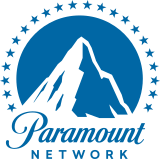 ^ "Paramount Network | Launches 4th July". www.youtube.com. Retrieved 29 June 2018. ^ Elliott, Dave (8 June 2018). "Viacom Launches Free-To-Air Channel 'Paramount Network' In The UK". www.geektown.co.uk. Retrieved 29 June 2018. ^ Moore, Paul. "Ireland will be getting a brand new satellite TV channel | JOE.ie". www.joe.ie. Retrieved 29 June 2018. ^ "MEDIA BOY BLOG: UPDATED: Virgin Media UK tests 11 new channels". MEDIA BOY BLOG. 18 July 2018. Retrieved 18 July 2018. ^ "Paramount Network UK on Twitter". Twitter. Retrieved 20 July 2018. ^ This information was retrieved from the What's on TV magazine dated 30 June 2018 to 6 July 2018. This page was last edited on 2 April 2019, at 13:52 (UTC).